A l'occasion du 30ème anniversaire de Cordeillan-Bages, le Chef Julien Lefebvre a concocté un menu unique et prestigieux, qui ravira les épicuriens en quête de produits nobles et emblématiques de la haute gastronomie française. We were on river cruise and decided to look for on-shore Restaurant. 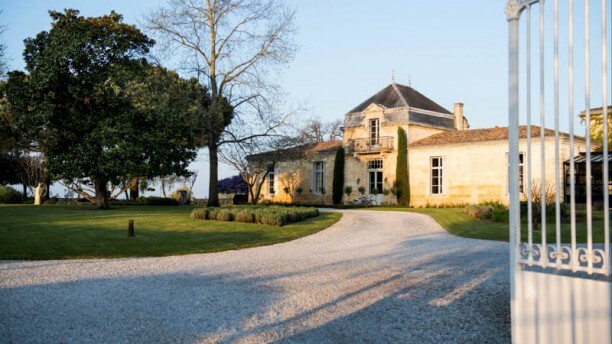 Château Cordeillan Bages popped out as far as location and reviews. Rode our bikes to the place (8 minutes) and arrived at this Relais & Chateau Hotel/Restaurant. Enjoyed our drinks on the terrace, overlooking the vineyard and ordered our meals. We choose the a-la carte, which does include all their amuses. Wonderful presentations and taste bombs. Not sure if they are already in contest for stars, but they are certainly up there! Will highly recommend. All fab - the lunch was perfect in every way with excellent wine pairing. I think the salmon plat du jour was good, but lacked the care and attention a 60€ main course warranted. Absolutely wonderful. Creative, delicious, and beautifully served. Wonderful wine list as well. My husband and I enjoyed every bite.